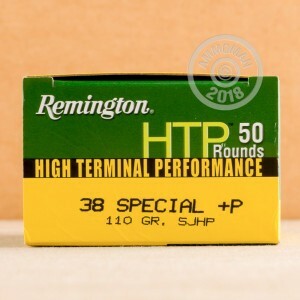 Remington's High Terminal Performance line of ammo is great for concealed carry and personal defense. 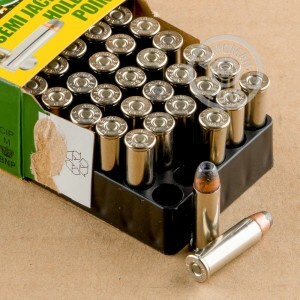 Each round is loaded with a 110 Grain Semi-Jacketed Hollow Point bullet, which will retain its weight, while expanding to nearly twice its original diameter. These rounds are brass cased new production. They are non-corrosive, boxer primed and reloadable. Please Note: These rounds carry a +P rating, meaning that they are loaded to a higher pressure than standard 38 Special rounds. Check your firearm's compatibility with high-pressure rounds, prior to use.